Ávaldr joined the society in January of 1999. He enjoys armored combat, dancing, fencing, and the brewing of mead. 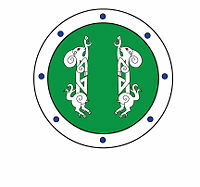 He is at home in the Households of Lochleven, Torvald's Hirð, and Sharc. He runs with the Great Northern Army, 2nd Division. This page was last edited on 16 January 2019, at 14:48.